We are a 501c3 registered charity in the USA. In addition, we are certified as a domestic non-profit in Texas. The primary mission of The Puppy Rescue Mission, Inc. (TPRM), as stated in our by-laws, is to fund-raise and assist in pet rescue, foster and re-homing when needed, in particular pets of soldiers, especially those deployed in war zones. We assist with requests, logistics, administration and fund-raising for the adopted stray dogs of war rescued by and bonded with soldiers. This may include vet care, supplies, transport and related issues. 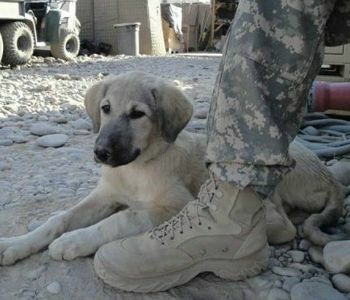 We work with or through other organizations that help our soldiers bring their companion animals home from war.